Various books have been written by various authors on slots game ranging from its history to the lives and successes of some renowned players. The book is based on the story of Joyland Amusement park in Eastern Yorkshire seaside resort found in Bridlington. The write is an authority in the amusement and tourism industry. The author narrates in this book findings from his researches which revealed a Glove seller who originated from Sheffield converted a number of buildings in Bridlington sea front in to a great amusement park with fairground rides, slot machines and amazing side shows in the process of which living the story of 'from rags to riches'. The book also delves into the lives of people who worked in Joyland Amusement park and other arcades around Bridlington from as early as the 1930s to the time the book was written. It narrates some beautiful life that existed on the sea front of Bridlington courtesy of the genius of some noble trader but has since disappeared. This is a leisurely and entertaining book describing old slots machines describing how they worked basically meant to pass time as you learn about slots. 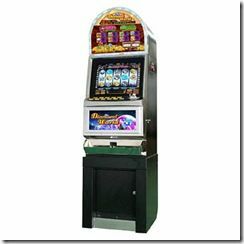 It present slot machines in color pictures and is said to be the first color book on slot machines. It is a resourceful slot machines book featuring 115 pages with nice pictures of slot on large coffee table formats and is useful for reference purposes. The slot machines described here are reminiscent of seaside holidays and Edwardian amusements but have since disappeared into museums and private collections. They represent colorful and creative examples of craftsmanship designed to entertain customers and get them spend their monies. The book narrates stories of ancient amusement parks in a manner that evokes the images of real happenings during the days when such machines were used. The book is a reminder of how things have changed in the way we spend our leisure time. It goes a great deal to explain about some of the moribund machines and where they may be found incase one is interested in seeing them. This is a real classical book explaining an A to Z of British slot machine manufacturers from the 1870 to 1970. It delves into the details of amusement parks and arcades including piers in Britain between the periods indicated above. It is a large collection of pictures of amusement equipment most of which had never been published before. Some pictures are in color while others are black and white. The book can be ideal for leisure and for historical referencing for those doing research on the history of entertainment industry.